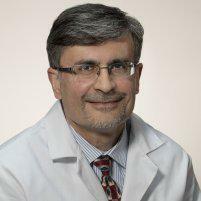 Dr. Ilyas Memon is a gastroenterologist serving Conroe, The Woodlands, and Spring, Texas. He has more than 12 years worth of experience. A ring of muscle known as the lower esophageal sphincter (LES) closes when food passes through it. When it doesn't close all the way or if it opens too often, the acid in the individual's stomach will move into a person's esophagus. This particular condition is acid reflux or gastroesophageal reflux disease (GERD). Acid reflux causes the patient to have heartburn, which is a burning sensation in his or her chest. The pain or discomfort may be located anywhere from the abdomen up to the chest. The individual may experience a sour or bitter taste in his or her mouth or throat. Generally, a person has GERD when these symptoms happen at least twice per week. Other less common symptoms are possible, such as bloating, bloody or black stool, bloody vomit, dysphagia, nausea, hiccups that don't ease up, or burping. Some people experience weight loss without an explanation. Wheezing, a chronic dry throat or hoarseness is possible as well. In some instances, it's caused by a hiatal hernia. This common cause of acid reflux occurs when the upper part of the stomach and LES moves above the diaphragm. When this occurs, it pushes the acid in a person's stomach into the esophagus. Other factors may contribute to acid reflux too. Being overweight or obese increases a person's risk. Certain habits can flare up symptoms, such as eating large meals and lying down, snacking too close to bedtime, eating citrus fruits or tomatoes, or consuming fatty foods. Other foods and beverages that aggravate the condition include chocolate, onion, mint, alcohol, caffeinated beverages, carbonated beverages, garlic, or spicy foods. Smoking, pregnancy, and certain medications can influence the condition also. In some cases, diet and lifestyle changes are enough. In addition to avoiding certain foods and drinks, the person may need to wear loose clothing, sleep upright for naps, and avoid foods close to bedtime. Medications are sometimes necessary. Antacids, foaming agents, H2 blockers, proton pump inhibitors, and prokinetics may all help.